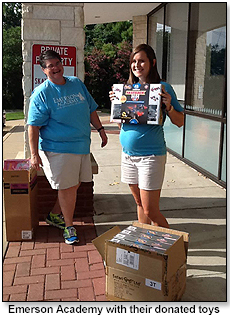 Terry won the 2013 TDmonthly Charitable Giveaway contest, and received more than 100 toys from the donors to give to her local children's charities. Terry chose two charities — Children at Heart Ministries and Emerson Academy — each of which received ZOOB H2H Fastback sets from Infinitoy (for ages 6 &up, MSRP $29.99), which features two pullback motors, so kids can build any two cars from ZOOB pieces and race them side-by-side; 15 ZOOB Jr. Scooters, which has larger, softer ZOOB pieces, for younger builders, (ages 3-6) so they can build any number of wheeled creations, such as a skateboarder, scooter, or robot, etc. ; Safari Ltd. Incredible Creatures® and other lifelike sets (includes combinations of Incredible Creatures® Queen Triggerfish, Incredible Creatures® Galapagos Marine Iguana, Incredible Creatures® White–lipped Snail, Incredible Creatures® Cobra Hatchling, Wild Safari Flippers, Fins & Fun Set, and Safari People John with Baxter Zookeeper on Platform); and red or blue 12" Mini Gliders from Glide Bikes. Terry also held an in-store giveaway contest for her customers, so they could become familiar with the manufacturer’s high-quality goods. The winning customer, Michelle Denny, was thrilled to win a set of toys from Safari Ltd. and Infinitoy because her children were "the perfect age" for the products and she "never wins anything," she told Terry. 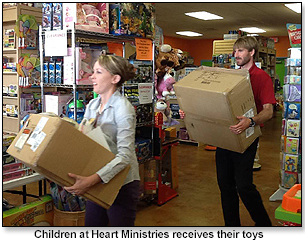 Amanda Keeter, who accepted the toys on behalf of Children at Heart Ministries — which provides counseling, support and temporary housing for needy families, single mothers and orphans — said that the toys will help children who never had a birthday party or Christmas present. 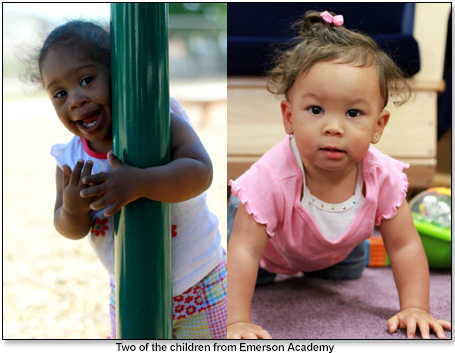 Stacey Bell, Business Director of Emerson — an early education program for all abilities — was particularly excited about the Zoob building toys. 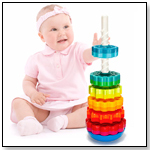 "These are excellent tools for children working on motor skills, and they complement what our special needs students work on with their therapists," said Stacey. "These are really just great." 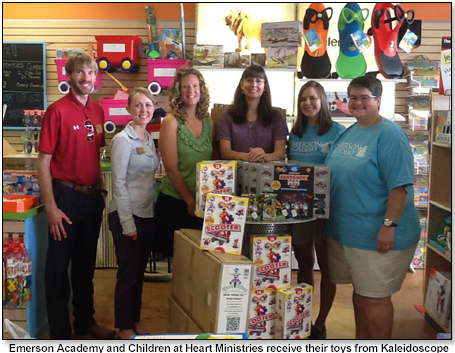 "As a small business, I was trilled to participate in this toy give-a-way," summed up Terry. 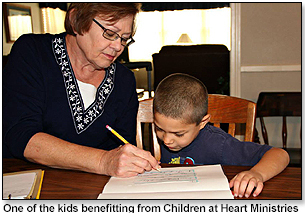 "I'm very much a part of my community and so being able to help out two of my favorite charities was awesome. One of the Glide Bikes will be used by the special needs children at Emerson Academy out on their playground. The Second Glide Bike will be under the tree this Christmas for a very special child at the Children at Heart Ministry. 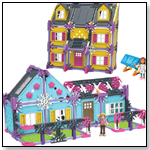 "The Zoob Construction Kits are great for cognitive skill building, so both organizations plan to open them up and get building and creating. 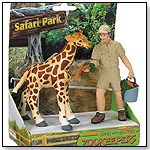 The Safari Ltd figures will be used mainly for therapy role playing. "All toys were so appreciated. the directors had the biggest smiles as you can see in the photos on our Facebook page. 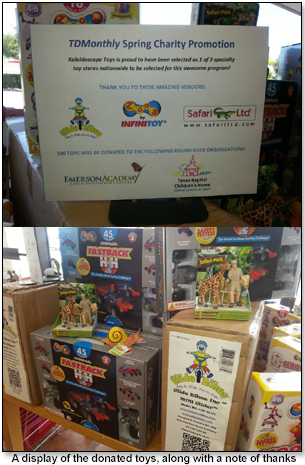 Thanks to TDmonthly, Glide Bike, Safari Ltd. and Infinitoys or being a part of this."